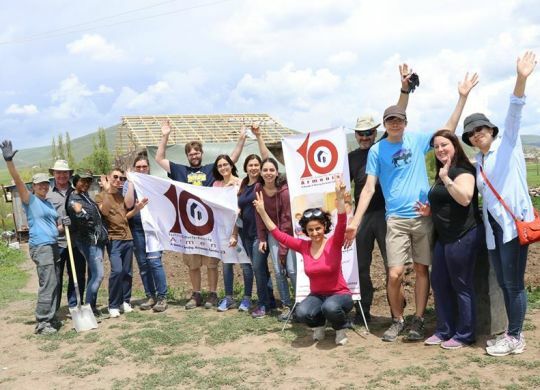 The Fuller Center for Housing of Armenia is celebrating its 10th year of operation in 2018 — a decade that has seen it complete more than 630 homes in a land rich with history and beauty but also plagued by housing and economic problems. One of the organizations that annually supports The Fuller Center’s work in Armenia is the U.S. Embassy’s Helping Hands organization. This year the group helped the Gabrielyan family in the Gegharkunik region’s Zovaber village.